After over 5 years crafting, I finally got around to making my own Christmas cards. To me it always seem like a big chore to make my own cards but when I saw the Christmas stamps on the market, I realised that I ought to try and make some. Last year I made a few but printed them off the computer which obviously isn’t quite the same. 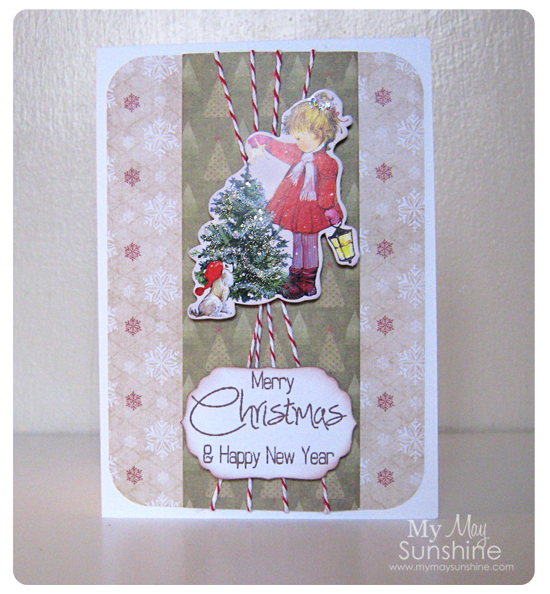 The first card I used the Clearly Besotted Signature Christmas stamps. 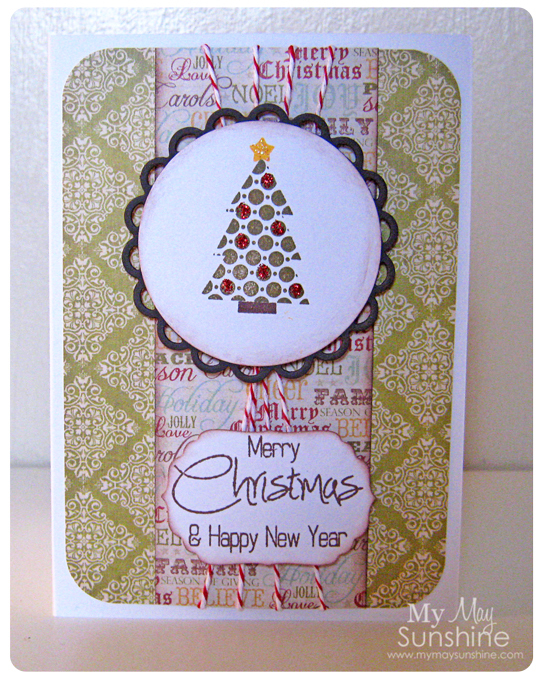 Love the stamps, they are so easy to use and mix and match the stamps. 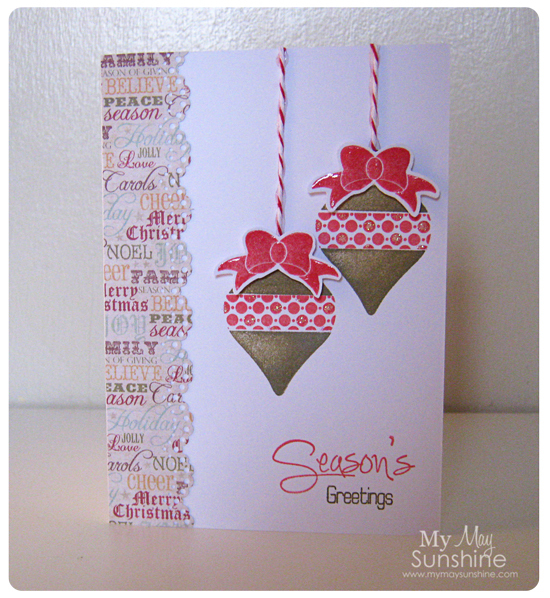 On the bow I use glossy accents to add some dimension and added some glitter to some of the dots on the bauble. I also used some bakers twine for the string on the bauble. On the next two cards I used the same stamp set for the sentiment and added some image pictures I got last year but never used. They are such pretty images. I added some bakers to the background of the card as well to add some dimension. On the last card design, I decided to use some bakers twine and used the Christmas tree image and sentiment from the stamp set mentioned before. 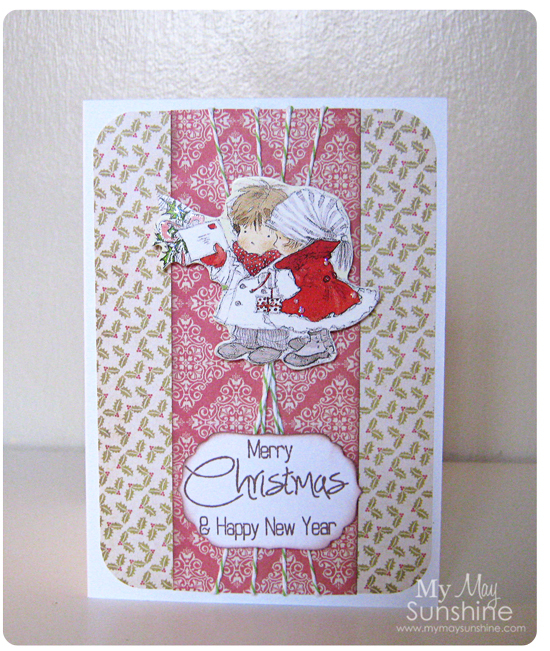 All the patterned papers are from Dovecrafts Back to basic vintage Christmas papers. Lovely more traditional papers than I normally buy but love the red, green and cream combo of colours. I am really pleased that I made the effort to make them and felt that as someone who loves to make cards, it was a bit silly not to make Christmas cards. These day people send less and less cards but there are definitely people who love to receive them. Are you one of them or do you think they are a waste of time? Let me know what you think. Linking up to Polkadot Pretties, Tip Me Junkie.